Happy New Year's Eve! To bid farewell to 2017, I'm recycling two of last year's ideas, Farewell to 2016 on social media for New Year's Eve and YouTube Rewind for New Year's Day 2017. Since it's Sunday and therefore usually the day of the week for an entertainment feature, I'll start with the entertainment year in retrospective via YouTube Rewind: The Shape of 2017. YouTube Rewind 2017. 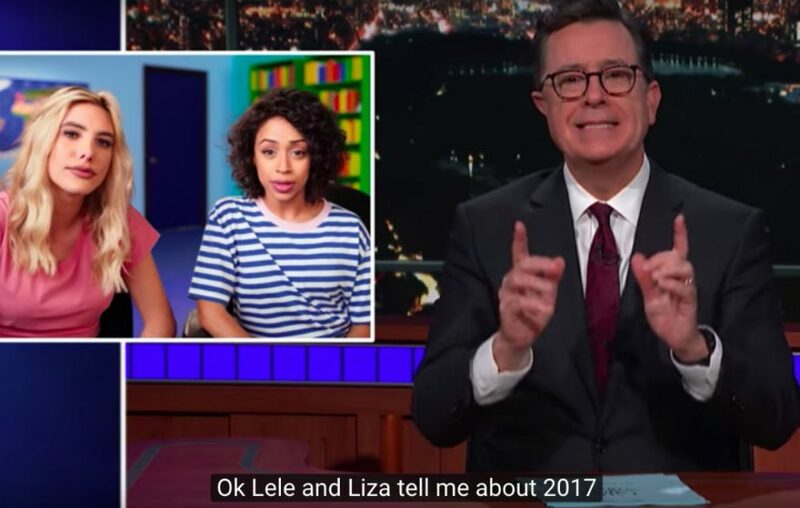 Celebrating the videos, people, music and memes that made 2017. As I wrote when I featured the last YouTube Rewind, it helps to watch YouTube Rewind 2017: Behind the Scenes to know who the people are. Behind the scenes of YouTube Rewind 2017, the epic year-end celebration of the videos, people, music and memes that made 2017 on YouTube. By the way, it's the sixth year I've rewound the year on YouTube. I think that's a good tradition to have. Follow over the jump for a more serious pair of retrospectives from Google and Vox. Last month I forecast the future of the multi-year increase in miles driven by Americans that "I expect this trend to continue until the next recession, which I'm still predicting will begin next year. I'll re-evaluate my forecast next month. Stay tuned." Not only is next month now this month, it and the year it is part of are already almost over, so it's time for me to follow through before my promise turns into a pumpkin at the stroke of midnight on New Year's Eve. Revising my economic forecast has become especially important in light of the passage of the tax "reform" bill, which I didn't think I'd include at the start of November. First, it's time to revise the recession outlook from what I wrote at the end of June. The lower gas prices, continuing low unemployment rate, and near-record-high stock indices all suggest that the U.S. economy is not headed for recession in the next six months. I'm delaying my prediction by one Friedman Unit, which is six months, so the deadline for the U.S. heading into recession is now one year from tomorrow [June 30th]. Enjoy the expansion while it lasts. While gas prices are up year over year and U.S. crude oil closed above $60/barrel for the first time in nearly three years, the unemployment rate is still very low and the Dow Jones Industrial Index is just off the 70th record high of the year. Along with other factors, it looks like the onset of the next recession is still more than six months off. Consequently, I'm postponing my call for it to begin for another five or six months, until next November or December. Since it takes two consecutive quarters (six months) of decreased Gross Domestic Product (GDP) for a recession to be declared, no one will know for certain until July 2019. Enjoy not officially being in recession for more than a year. Three things could trigger the next recession. The most likely would be an inversion of the yield curve, which means that short-term interest rates would rise higher than long-term interest rates. The Federal Reserve has been raising short-term rates for the past two years while long-term rates have been rising much more slowly. If present trends continue, short-term rates will rise above long-term ones within a year or two, which always signals a recession within a year. See the graph below. When the black line is below zero, the yield curve is inverted. That is always followed by a gray bar, which marks a recession. 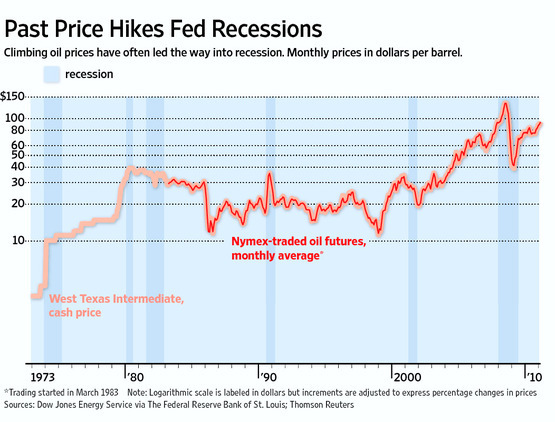 The second is a rapid rise in oil prices, which has occurred either slightly in advance or concurrently with every recession since 1973. Again, see the chart below, which shows that relationship and in which the shaded bars represent recessions. The last, which the U.S. saw along with both of the above during the last recession, would be a crash in housing prices. However, that is not as reliable an indicator of contraction, as it took nearly two years between the bursting of the housing bubble and the onset of the Great Recession of 2008-2009, barely happened before the recession of 1990-1991, and it didn't happen at all before the 2001 recession, all of which the graph below shows. 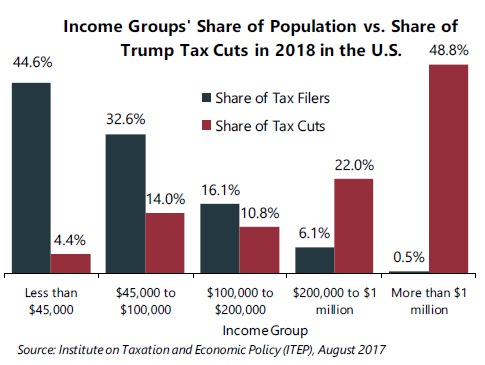 Keep all three of these in mind when I analyze the effect of the tax bill on the economy. Before I do, I want my readers to notice the timing of recessions. They range from seven (2001 to 2008) to eleven years (1990 to 2001) apart. That range is exactly consistent with the Juglar Cycle, an economic cycle that lasts seven to eleven years, the downturns of which correlate to U.S. recessions since 1980. The Great Recession technically began in December 2007 and adding eleven years to that means the next one should start no later than December 2018. We're due. I have twice told my readers to "Stay tuned for an entry about the top political documentaries of 2017" today, so it's time for me to follow through. 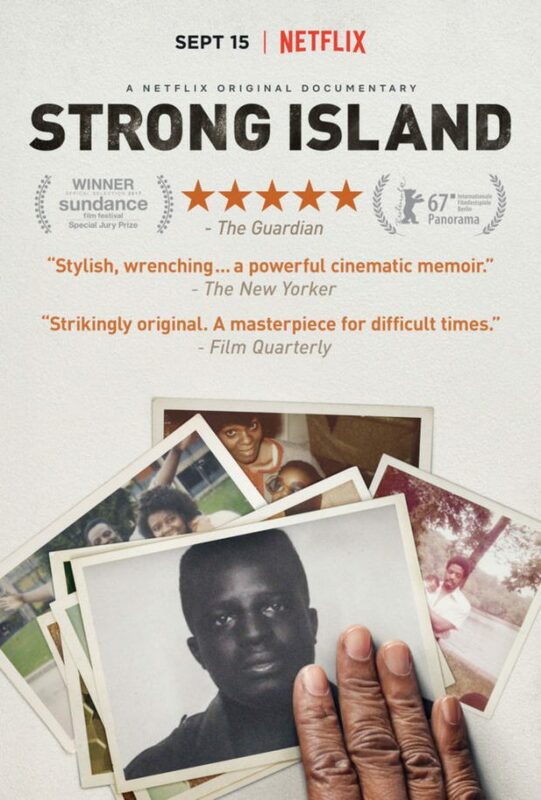 Since it's awards season, I am ranking documentaries about politics, government, social issues, and the environment by counting up how many nominations and wins each film has earned at what I'm counting as the major awards shows and programs that recognize documentaries. I'm counting films recognized by the Black Reel Awards, Cinema Eye Honors Awards, US, Critics' Choice Documentary Awards, Environmental Media Awards, USA, Film Independent Spirit Awards, Gotham Awards, International Documentary Association (IDA) Awards, National Board of Review, Online Film Critics Society Awards, Producers Guild Documentary Awards, and Satellite Awards. I also included two points for the Emmy Award that went to LA 92. For every nomination, the film earns one point and every win, the film earns another point for a total of two. Only movies that earned two or more points made the list, as they either won an award or were nominated for at least two awards; movies with only one nomination got left off. After adding up all the points, I've ranked the qualifying films as follows with films having the same score arranged alphabetically. To see the awards and nominations, click on the link in the title to read the relevant IMDB page. That's an impressive list of worthy films. I don't envy the documentary branch of the Motion Picture Academy; they had their work cut out for them, as there were 170 eligible documentaries this year. The top five from my list alone would make for a good Oscar field, but that won't happen, if for no other reason than the fifteen film short list has already been released and "Cries from Syria" did not make it. In addition, "Faces, Places," "Jane," "Long Strange Trip," "One of Us," and "Unrest," which are not on my list, have made the Oscar shortlist and are as good as any of the my top five. On top of which, "An Inconvenient Sequel: Truth to Power" also made the Oscar shortlist and could make the final five based on it's being a sequel to a previous winner and as a response to the current political climate. If so, it would probably replace "Chasing Coral," which would be a shame, if understandable. As I have found out by examining awards shows, not every electorate is the same and the pool of voters matters. Follow over the jump for the films arranged by general subject along with their plot summaries and my commentary. I told my readers to "Stay tuned for posts on speculative fiction at the SAG Awards" in the list of future post topics that concluded Neutron star collision detected and other top science stories of 2017. As an environmentalist, I love recycling ideas, including the theme of last year's post on these awards, Speculative fiction at the 2017 SAG Awards. Without any further ado, watch the 24th Annual SAG Awards Nominations Ceremony from TNT. Watch Olivia Munn and Niecy Nash announce the 24th Annual SAG Awards nominees LIVE from the Pacific Design Center in West Hollywood, CA! I found Munn and Nash to be a hoot to watch, as Nash inspired Munn to be more fun and expressive. I took it as one of the benefits of diversity. Speaking of which, diversity was not a problem at the SAG Awards this year, either, as Variety noted SAG Awards Nominations Continue Strong Diversity Showing. Yay! I hope to say the same about the Oscar nominations next month. Another Variety article listed the nominees. It showed that speculative fiction had at least one nominee in every acting category for movies, again demonstating both the high quality of this year's best speculative fiction films and the respect actors have for genre works. The same two movies that have been recognized in every awards program I have reported on so far, "Get Out" and "The Shape of Water," earned two nominations each. "Get Out" has a nomination for Outstanding Performance by a Cast in a Motion Picture and Daniel Kaluuya garnered one for Outstanding Performance by a Male Actor in a Leading Role. I still think neither will win, with Gary Oldman winning the acting award and “Three Billboards Outside Ebbing, Missouri” winning the cast award, but it deserved both nominations. I'm hoping Kaluuya earns a nomination for Best Actor in a Film at the Saturn Awards. I'm pretty sure "Get Out" will be nominated for Best Thiller Film (nothing supernatural about it, so it won't be nominated as horror). "The Shape of Water" earned nominations for Sally Hawkins as Outstanding Performance by a Female Actor in a Leading Role and Richard Jenkins as Outstanding Performance by a Male Actor in a Supporting Role. I'm not optimistic about either winning, as the competition is very stiff in both categories. That reminds me that I thought the actresses were better than the actors last year, both in film and on television. This year, I think the men are as good as the women. While "Downsizing" may be a disappointment at the box office, Hong Chau's performance hasn't been, as she has now been nominated for Outstanding Performance by a Female Actor in a Supporting Role to join her Critics' Choice and Golden Globes nominations. KTLA interviewed her in Hong Chau Reacts to Her SAG Nomination. This segment aired on the KTLA 5 Morning News, Wednesday, December 13, 2017. Congratulations to Chau, as she is obviously the best thing about "Downsizing." That won't be enough for her to win, as her competition is too stiff. Holly Hunter, Allison Janney, and Laurie Metcalf are all established actresses and all delivered outstanding performances, so I think one of them will win. Just the same, that she has been a consensus pick so far bodes well for her being nominated for an Oscar. Speaking of nominations, I think she should be nominated for Best Supporting Actress in a Film at the Saturn Awards. However, I don't think she'll win, even if the professionals think she's the best supporting actress in a speculative fiction film (Olivia Spencer could just as easily have been nominated instead of Mary J. Blige for her role in "The Shape of Water," but wasn't). I suspect the Academy of Science Fiction, Fantasy and Horror Films will also nominate Spencer as well as Kelly Marie Tran, Laura Dern, and possibly Carrie Fisher for a seventh nominee if she isn't nominated for a leading role from "The Last Jedi." They might also nominate Blige, as they could consider "Mudbound" an independent film, which would qualify her for the nomination. For a sixth nominee, they could honor last year's winner Tilda Swinton for her role in "Okja." That would make for a talented and diverse field, but I'd give the advantage to one of Dern, Fisher, or Tran, none of whom will get a nomination for their parts elsewhere. Remember, the Saturn Awards are about entertainment not art, they don't care for subtle, and they love to stick it to the experts. 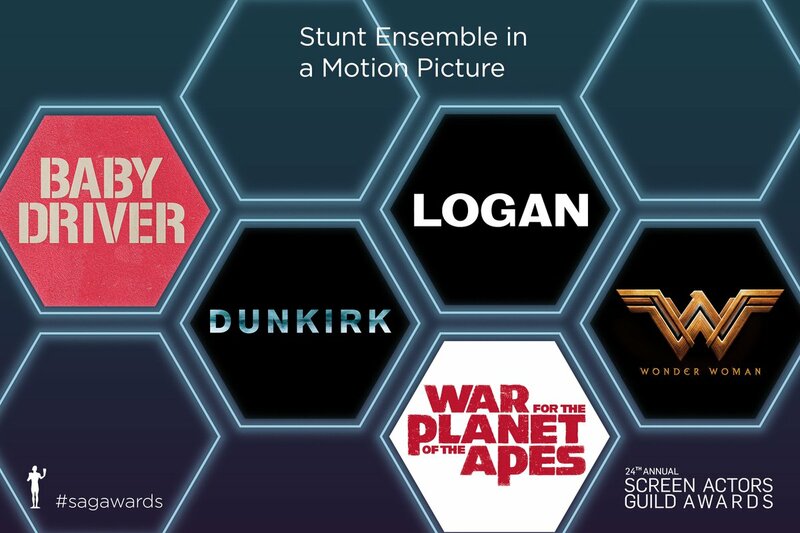 One final movie category recognized genre films for all of its nominations, Outstanding Action Performance by a Stunt Ensemble in a Motion Picture. I'll let a picture say its 1000 words for me. Oh, look, two superhero films, a science fiction movie, and two action flicks, making this the strongest category for speculative fiction in movies. Follow over the jump for the television nominees. When I posted Gravity waves and other top science stories of 2016, I had no idea that the discoverers of gravity waves would win the Nobel Prize for physics this year, but they did. Gravity waves are still the number one science story of the year, at least according to the AAAS and Science Magazine, as they named them Breakthrough of the Year, 2017. That discovery topped most of the other lists I examined from what I considered reputable sources. The other stories that Science Magazine placed in this year's top ten that showed up elsewhere were CRISPR and its role in gene therapy, the discovery of the oldest Homo sapiens fossils in Morrocco, and a new endangered species of orangutan. Stories that Science Magazine did not mention that made many other sources' top science story lists included the Great American Eclipse and the end of the Cassini mission, perhaps because they were not breakthroughs or discoveries, even if both were big news. Follow over the jump for videos from New Scientist, Curiosity Stream, Science News, and Scientific American on their top science stories of 2017. I checked one prediction and made another at the end of Vox explains how 'The Star Wars Holiday Special' contributed to Star Wars Legends. I'm not done with Star Wars this week. After I post the Broken Peach Christmas songs I promised just before Halloween, I plan on posting a follow-up to 'The Last Jedi' is a force at the box office. One of my predictions, that it will pass "Thor: Ragnarok" to hit sixth, has already happened. It could easily pass both "It" and "Spider-Man: Homecoming" by Tuesday. As I wrote last year about "Rogue One" being a force at the box office, "I wasn't optimistic enough about the movie's performance at the box office!" Once again, reality exceeded my expectations, as Box Office Mojo lists "The Last Jedi" in third with $397,271,356 in North American box office receipts as the movie not only passed "It" and "Spider-Man: Homecoming," but also "Guardians of the Galaxy Vol. 2," something I didn't expect until the end of the week. I may have been surprised, but Wochit Entertainment putting Business Insider's words to pictures wasn't, as both predicted 'The Last Jedi' To Become 3rd Highest Grossing Movie of 2017 on Christmas Eve. "Star Wars: The Last Jedi" is set to become the 3rd highest-grossing movie of the year by Christmas. According to BoxOfficePro, the movie will have earned $100.6 million in its second weekend in theaters by Monday. "The Last Jedi" is also nearing a $1 billion worldwide gross. With a total of $397 million domestically by Christmas day, it will pass Marvel's "Guardians of the Galaxy Vol. 2." and take its place behind "Beauty and the Beast" and "Wonder Woman." 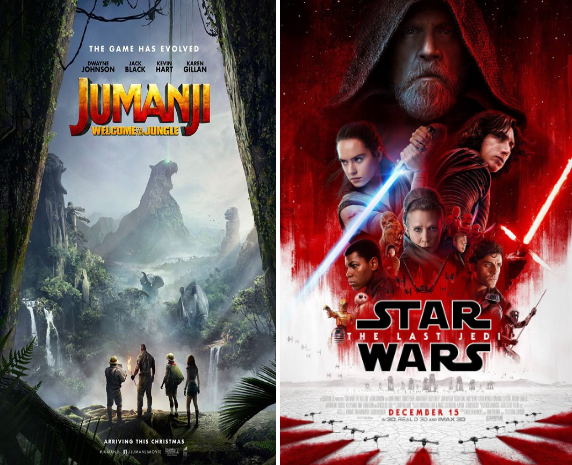 As for the other speculative fiction movies in theaters, Forbes has the news in Box Office: 'Last Jedi,' 'Jumanji' And 'Pitch Perfect 3' Rule Christmas Weekend. The big newbie news, and the rest of this post is just for new releases, was Columbia and Sony's Jumanji: Welcome to the Jungle. The $90 million-budgeted sequel to the popular 1995 Robin Williams fantasy parlayed strong reviews and a kid-friendly cast (Dwayne Johnson, Kevin Hart, Jack Black and Karen Gillan) and a strong inversion of the original film's premise (this time, our heroes go into the game, a video game no less) into a whopping $67m Wed-Mon debut weekend (a dynamite 9.3x six-day multiplier), including $36m over the Fri-Sun launch. It should have over/under $70m by tonight, thanks to $1.9m worth of sneak preview grosses. I'm sure "Jumanji: Welcome to the Jungle" will be nominated for at least one Saturn Award. The only uncertainty I have is which category, Action or Fantasy; I hope it's fantasy, as it would improve the category and have a better chance of winning. Besides, it's a better fit with the genre. That was the successful new speculative fiction release. Follow over the jump for the flop. Merry Christmas and Seasons Greetings from Crazy Eddie's Motie News! I'm taking a break from passing along NASA's greetings to us Earthlings (maybe next year -- until then Vox explains NASA's plan to save Earth from asteroids will have to do the trick) to remind my readers about a possibility I raised at the end of Broken Peach: Singing Spanish goths and witches for Halloween: "Before I leave my readers for today, I note that Broken Peach also sings Christmas songs. Maybe I'll post one of them for Yule this year. Stay tuned." Infidel 753 liked that idea in his comment, writing "I can't imagine a better choice for a Christmas song post." My response was "O.K., Broken Peach for a Christmas music post!" Time to keep my promise. Triple actuación del grupo Broken Peach (Vigo) en el programa \"Desexos Cumpridos\" de la TVG emitido el sábado 21 de diciembre de 2013. Translation: Triple action of the Group Broken Peach (Vigo) in the program \"Desexos Cumpridos\" TVG issued Saturday, December 21, 2013. 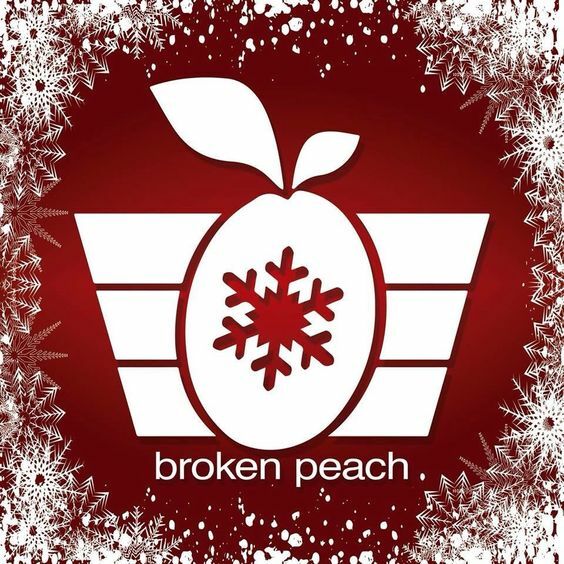 Going from the oldest video I can find of the group singing Christmas songs to the newest, here is "Jingle Bells" from Broken Peach's YouTube channel. ¡Feliz Navidad a todos ustedes, tambien! *Seriously, the band has four different videos featuring different arrangements and performers on its YouTube Channel. The band has their own videos of "Rockin' Around the Christmas Tree" and "White Christmas" as well. Also, people who have watched the Halloween videos will notice that there is a fifth singer in this video. She shows up in the first video uploaded to the band's YouTube channel, which is also a clip from a Spanish TV program featuring "Santa Claus is Coming to Town", and videos up to June 2014, but videos from November of that year and later don't show her. On another channel, there are videos from June 2014 that show only the four current singers, so she had left by then. I wonder what happened to her. On Festivus, I promised another Vox video in another seasonal post, telling my readers "Stay tuned for the third video from Vox, which is about the origins of Life Day. Star Wars!" Without any further ado, I present Vox's Star Wars’ infamous Holiday Special, explained as the Sunday Entertainment feature. A long time ago in living rooms across the US, a bizarre 98-minute Star Wars-themed variety show aired on CBS to an estimated 13 million viewers. It wasn't necessarily the first of its kind: hosts like Donny & Marie Osmond and Richard Pryor had done TV variety shows with Star Wars characters in 1977, which had helped boost box office sales. 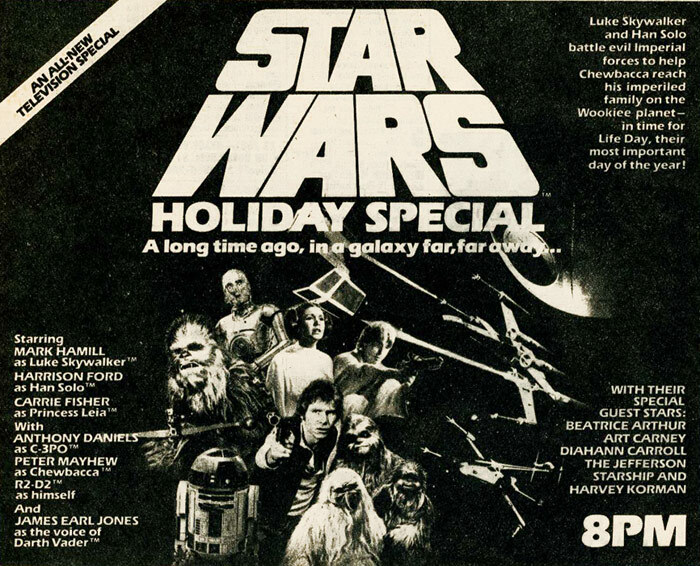 But unlike those shows, the Holiday Special featured the original film's cast. George Lucas was convinced to approve the project in order to maintain interest in the franchise until The Empire Strikes Back's 1980 release — but the special itself is a confusing mess. A crossdressing Harvey Korman leads a cooking show segment, Jefferson Starship stars in a holographic concert, and Chewbacca's dad watches some very suggestive virtual reality entertainment. But if nothing else, the Holiday Special was one of the first examples of Star Wars' expanded universe — whose influence continues to shape the today's Star Wars stories. No spoilers for The Last Jedi, from a certain point of view. While the "Star Wars Holiday Special" has been consigned to the equivalent of unperson status for a work of art within the Star Wars universe, it has had three lasting effects. First, it introduced Life Day as the Star Wars version of Christmas -- BTW, a happy early Life Day to my readers! While Wookieepedia does not list it reappearing in any of the movies or TV shows, it was celebrated in the MMOs based on the franchise, Star Wars Galaxies and Star Wars: The Old Republic. In fact, I'm still playing the latter and all this week I've seen Life Day trees at Fleet Headquarters and been bombarded by snowballs thrown by other players. Second, it also introduced the Wookiee homeworld Kashyyyk, which has had a much more durable legacy than Life Day. Its Wookieepedia entry lists 44 appearances and mentions under Canon, including its first portrayal in the movies as a setting of "Revenge of the Sith," and many more under Legends. Even that is not complete, as it was mentioned in an episode of "Once Upon A Time." On the one hand, it could merely be an instance of cross-promotion of Disney properties disguised as a joke for the fans. On the other, it opens the possibilities that "Star Wars" exists in the "Once Upon A Time" universe and that a future season might travel there. One can hope. Finally, as the Vox video points out, it serves as a good example of what not to do in Star Wars, making the rest of both Canon and especially Legends that much better. Think of it as Early Installment Weirdness within what is now Star Wars Legends. In fact, since I've already linked to TV Tropes, its entry for "The Star Wars Holiday Special" mentions it as exactly that and lists this example of Early Installment Weirdness. Due to being made early in the franchise's history before many ideas and characterizations were set in stone, there's quite a bit. The most striking is Boba Fett acting like a cackling Dastardly Whiplash rather than the stoic Noble Demon he's famous as. Yes, I've linked to TV Tropes. Enjoy your Christmas Eve clicking on links! Finally, if anyone wants to watch the entire show, Vox embedded the YouTube video of it at their site. Personally, I think they should have embedded the Rifftrax version instead. Even if they had, reading TV Tropes might be a more entertaining and informative waste of time. Once again, Happy Life Day! Happy Festivus, time for airing of grievances and feats of strength! Today, I'm going to recycle last year's theme, airing grievances about Donald Trump. Last year, it was Keith Olbermann. This year, it's Vox. As I wrote yesterday. Vox impressed me so favorably with this video that I plan on posting two more, one for Festivus and another about a Star Wars holiday for Christmas Eve. Stay tuned and happy holidays! The scariest part of Trump's first year as president isn't how abnormal he is, it's how normal he makes everything else look by comparison. “Don’t normalize this” has become a kind of rallying cry during President Trump’s first year in office -- a reminder to not get too acclimated to Trump’s norm-breaking and erratic behavior. But the real danger of the Trump presidency might have less to do with Trump’s abnormality and more to do with how “normal” he makes other Republicans look by comparison. And the concept of the “Overton Window” helps explain why our politics and media might be warped long after Trump’s presidency comes to an end. It may not be up to Keith's level of high dudgeon, but it's still quite the airing of grievances. Speaking of Keith, he has stated he's retiring from political commentary. That's quite a loss for his fans, including me, as well as the country. So concludes the airing of my grievances for today. Stay tuned for the third video from Vox, which is about the origins of Life Day. Star Wars! I told my readers to "Stay tuned as I'll be back tomorrow with a real possible doomsday and what is being done to prevent it" at the end of The Fake Mayan Doomsday five years later for Winter Solstice 2017. It should come as no surprise to long-time readers of this blog, who have seen me write about Apophis Day since 2012 and its more famous relative International Asteroid Day since 2016, that the catastrophe and project to prevent it I'm featuring is NASA's plan to save Earth from a giant asteroid from Vox. 65 million years ago, a large asteroid collided with Earth near present-day Chicxulub, Mexico. The impact was a climactic event that likely contributed to dinosaur extinction. 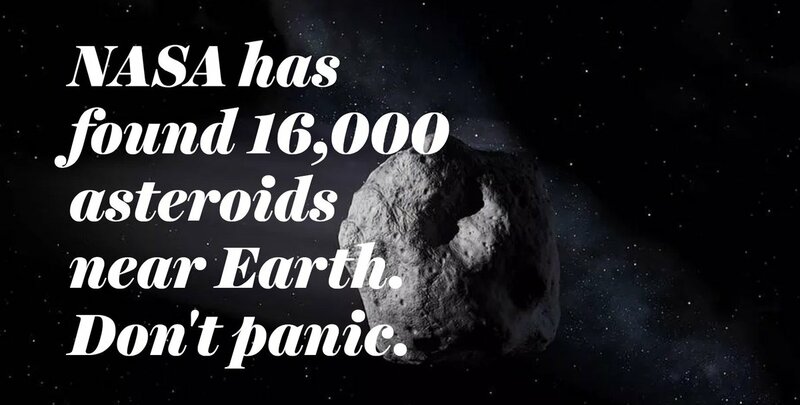 Today, Earth remains vulnerable to asteroid collisions. In recent history, space rocks have landed in The United States, Russia, and elsewhere. In the event of a potential asteroid collision, NASA has developed several options for dealing with the threat. Researchers at NASA’s Center for Near Earth Object Studies and Jet Propulsion Laboratory have proposed using blunt force, weaponized deflection or a theoretical tool called a gravity tractor to deflect impact. In addition to developing contingency plans, NASA scientists are also searching the sky for future asteroid threats. To learn more about their work and NASA’s plan to prevent an asteroid collision, make sure to watch the video above. May an asteroid large enough to kill people and destroy cities never strike Earth in the lifetimes of myself and my readers and may we be prepared for one anyway. Happy Winter Solstice, to my readers! 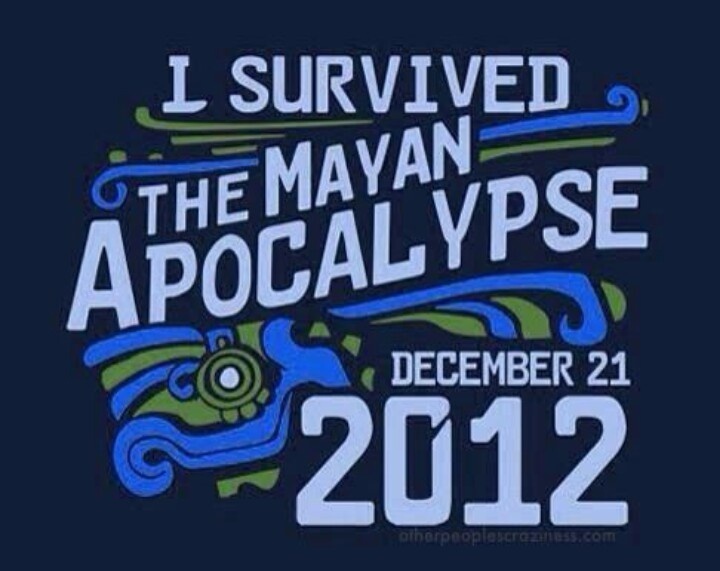 Instead of presenting the usual scientific explanation for today's astronomical event and pagan holiday, I'm looking back at an event that was predicted to happen five years ago, but never came to pass, the Fake Mayan Doomsday of 2012. I heaped plenty of scorn on the prediction, both before and after, just like I have and will do on any other forecast of supernatural doom. I wasn't alone in mocking the prediction that wouldn't come true. The day before, Neil DeGrasse Tyson debunked the Mayan Apocalypse on StarTalk. Worried about the world ending on December 21, 2012? You won't be after you listen to Neil deGrasse Tyson, astrophysicist, host of StarTalk Radio and director of the Hayden Planetarium as he debunks the apocalypse as "a hoax, perpetrated by the scientifically illiterate on the scientifically under-informed." There's no hurry to watch this Cosmic Query with comic co-host Chuck Nice, though, because it will still be here on December 22... and 23rd... and 24th... In fact, since we're going to be around for quite some time, don't miss out on any StarTalk news. The prediction that "we're going to be around for quite some time" came true as both the video and Tyson are still here five years later. Science! Enough of fake doomsdays. Stay tuned as I'll be back tomorrow with a real possible doomsday and what is being done to prevent it. I was planning on posting Tipsy Bartender recipes for National Sangria Day today, but I stumbled across another example of reality literally intruding into fantasy this morning, the animatronic Donald Trump being unveiled in The Hall of Presidents at Walt Disney World, and decided I'd rather blog about that. Seth Meyers decided to make lemonade out of lemons by mocking both Trump and his robot double in his monologue last night. Deadline Hollywood gave the set up to the monologue's running joke. “I think, as our Christmas gift to ourselves, we’re just going to use that as our Trump picture from now on,” Meyers announced. Watch Disney World's Animatronic Trump, Ocean's 8 Trailer - Monologue- Late Night with Seth Meyers to see him follow through. Seth Meyers' monologue from Tuesday, December 19. I feel much better after watching that than if I had blogged about sangria, a drink I probably shouldn't have because of my diabetes. Now, let's see how long Meyers uses that photo for Trump. Stay tuned for a post about "The Last Jedi" at the box office. Star Wars! That's what I promised to end 'Game of Thrones,' 'The Handmaid's Tale,' and 'Stranger Things' nominated for Drama Series at the 2018 WGA Awards. It was as good an opening weekend as I expected it would be. Newsy reports 'Last Jedi' has record-breaking $220M weekend. Before "The Last Jedi" even made it to theaters, the "Star Wars" franchise had made more than $7 billion at the box office worldwide. Yes, $220 million in the U.S. and $450 million worldwide. It may not be as spectacular as "Star Wars: The Force Awakens" but it's certainly better than "Rogue One." "The Last Jedi" is already the tenth highest grossing film of the year, knocking "Justice League" out of the top ten, making more money in one weekend than DC's superhero team-up did in one month. Next week, I expect it will pass "Thor: Ragnarok" and maybe even "It" to hit fifth or sixth. Stay tuned. 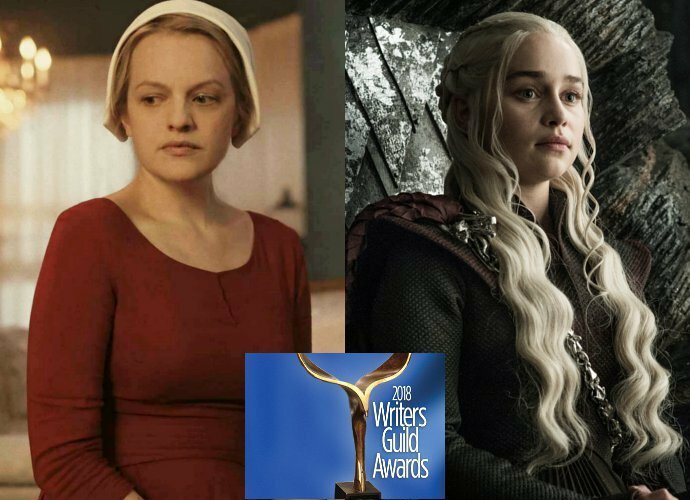 I ended 'The Handmaid's Tale' leads speculative fiction on television at the 2018 Golden Globe Awards by writing "I'll see if I have the time and energy for the WGA Awards tomorrow." It seems I have, so here goes. As I wrote when I reported last year's speculative fiction nominees at the Writers Guild Awards, "there appears to be critical and popular consensus both on which speculative fiction shows are best, but also that they are among the best shows on television right now." Replace popular with professional, as the People's Choice Awards will effectively skip this year, and the same is happening with this year's speculative fiction series and miniseries now that the WGA has weighed in. The drama series are "Game of Thrones," "The Handmaid's Tale," and "Stranger Things," which have shown up on four nomination or award lists so far this month (five in the case of "Game of Thrones" because of its soundtrack nomination at the Grammys. The miniseries is "American Horror Story: Cult," although the Hollywood Foreign Press Association likes "Twin Peaks" better. Expect this to be true all the way to the Emmy Awards next year, as there will be second season of "The Handmaid's Tale" airing within the Emmy eligibility window. However, the Emmy Awards should have a fourth speculative fiction drama to recognize, as the second season of "Westworld" will air in the spring as well. The current Golden Age of speculative fiction on television will continue for at least another year! 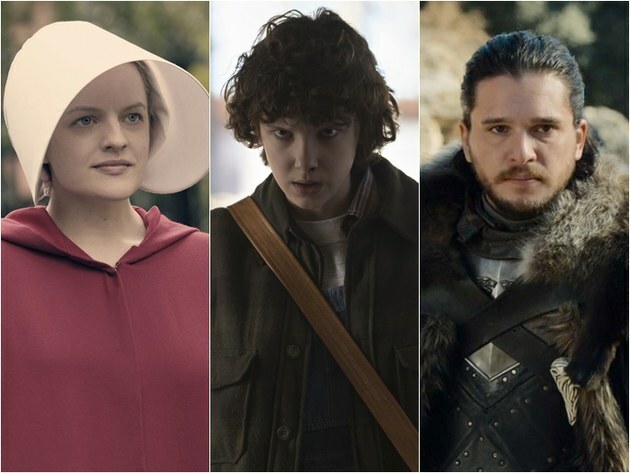 In addition to "Game of Thrones," "The Handmaid's Tale," and "Stranger Things" being nominated for Drama Series, "The Handmaid's Tale" earned a nomination for New Series. I expect the Hulu adaptation of Margaret Atwood's dystopian novel to be the favorite to win both. "American Horror Story: Cult" is the sole speculative fiction in Long Form Original. Short Form New Media Adapted has episodes of speculative fiction series as three of its four nominees, two episodes of "Marvel’s Agents of S.H.I.E.L.D. : Slingshot" and one of "The Walking Dead: Red Machete." Once again, the short form series in "The Walking Dead" universe get more love than the main shows. Speaking of missing love, an episode of "The Leftovers" earned a nomination for Episodic Drama. That's a series that I thought was neglected during its three-season run. Competing against it is "The OA." Three shows, "Bob's Burgers," "BoJack Horseman," and "The Simpsons," occupy all five slots in Animated Series, as "BoJack Horseman" and "The Simpsons" have two episodes each nominated. Two shows with fantastic elements, "Just Add Magic" and "The Magical Wand Chase: A Sesame Street Special," earned nominations for Children's Episodic and Specials. Science and technology appear in the nominations of "Silicon Valley" for Comedy Series and "The Immortal Life of Henrietta Lacks" for Long Form Adapted. Follow over the jump for all the nominees in the above categories plus my opinions about their chances. I'm going to break a promise I made at the beginning of 'The Shape of Water' and 'Get Out' lead speculative fiction at the movies at the 2018 Golden Globe Awards. Since I wrote that at the conclusion of A good year for speculative fiction in the AFI top movies and TV shows of 2017, I've decided to mix things up a bit and cover the movie nominees for the Golden Globes first. I'll still cover the WGA Awards nominees/A> tomorrow. No, I'm not. I decided it would be easier to continue with the television nominees for the Golden Globes instead. I'll see if I have the time and energy for the WGA Awards tomorrow. Speculative fiction on television had more representatives in fewer categories than in the movies. Five shows earned a total of eight nominations or six show with nine nominations if "Mr. Robot" counts as speculative fiction. The leading drama series is "The Handmaid's Tale" with three nominations, Best Television Series — Drama, Best Performance by an Actress in a Television Series — Drama, and Best Performance by an Actress in a Supporting Role in a Series, Limited Series, or Motion Picture Made for Television. This ties it with the other leading drama series, "This Is Us." Next is "Stranger Things 2" with two nominations, Best Television Series — Drama and Best Performance by an Actor in a Supporting Role in a Series, Limited Series, or Motion Picture Made for Television. The last speculative fiction show nominated for Best Television Series — Drama is "Game of Thrones." Yes, the shows nominated for Best Television Series — Drama are the same three speculative fiction dramas that were named AFI TV shows of 2017 and also nominated for Best Drama Series at the 2018 Critics' Choice Television Awards. Once again, it's both easy to see which are the best speculative fiction series and recognize that they are also among the best on American television. Three other series earned one nomination each. Caitriona Balfe of "Outlander" is competing against Elisabeth Moss of "The Handmaid's Tale" for Best Performance by an Actress in a Television Series — Drama. Kyle MacLachlan of "Twin Peaks" earned a nomination for Best Performance By an Actor in a Television Limited Series or Motion Picture Made for Television. Finally, Christian Slater of "Mr. Robot" is competing against David Harbour of "Stranger Things 2" for Best Performance by an Actor in a Supporting Role in a Series, Limited Series, or Motion Picture Made for Television. Follow over the jump for the Golden Globes television nominations that recognize speculative fiction film from Vox. I'll have more tomorrow with the Writers Guild of America (WGA) Awards nominees and over the weekend with the Golden Globes nominees. Stay tuned. Since I wrote that at the conclusion of A good year for speculative fiction in the AFI top movies and TV shows of 2017, I've decided to mix things up a bit and cover the movie nominees for the Golden Globes first. I'll still cover the WGA Awards nominees/A> tomorrow. In the meantime, here are the Golden Globes movie nominations that recognize speculative fiction film from Vox. This is the first of seven nominations for "The Shape of Water," the most of any film at these awards. That makes the Golden Globes the second awards show after the 'Critics' Choice Movie Awards to honor Guillermo Del Toro's fantasy as not only the most nominated speculative fiction film of the year, but the most nominated film of the year, period. The second most nominated speculative fiction film at the Golden Globes is "Get Out" with two nominations. The good news is that it's not competing against "The Shape of Water." The bad news is that it is competing against films that actually are comedies. That may not hurt it, as "The Martian" was nominated as a comedy at the Golden Globes two years ago and it won two Golden Globes in the same categories that "Get Out" is nominated in this year. That might mitigate the ugly news, which is that nominating a horror film as a comedy may seem a bit insulting. After all, "Black Swan," the last horror film to win an AFI Film of the Year, earned four nominations and one win as a drama in the Golden Globes seven years ago. Follow over the jump for the rest of the nominees. When I called 'The Shape of Water' leads speculative fiction at the 2018 Critics' Choice Movie Awards "the opening salvo of what will be a barrage of major awards shows," I was not kidding. The American Film Institute (AFI) announced its movies and television shows of the year last week. Here is a video of the AFI Top Ten Films of 2017. Just for completeness, Deadline lists the AFI Top 10 Movies Of 2017: ‘Wonder Woman’, ‘Get Out’, ‘Shape Of Water’, ‘The Post’ & More. Yes, three of the top ten movies of the year are speculative fiction movies, "Get Out," "The Shape of Water," and "Wonder Woman." That's not unheard of, as 2015, an outstanding year for science fiction films, had four, "Inside Out," "Mad Max: Fury Road," "The Martian," and "Star Wars: The Force Awakens," and every year this century has had at least one speculative fiction movie on the list. However, "Wonder Woman" is the first superhero movie since "The Dark Knight Rises" in 2012 and "Get Out" is the first horror movie since "Black Swan" in 2010 to make the list. That's noteworthy that movies in these two genres have been recognized, particularly in the same year. As if that was not enough, here are the television winners of the AFI Awards: ‘The Good Place’, ‘Handmaid’s Tale’, ‘Insecure’, ‘This Is Us’, ‘Stranger Things’ Among TV Honorees. Speculative fiction did even better on television than at the movies with four honorees in speculative fiction genres, "Game of Thrones" and "The Good Place" in fantasy, "The Handmaid's Tale" in science fiction, and "Stranger Things 2" in horror. In fact, this is the best year so far for speculative fiction on television at these awards, as the previous high was three in 2006 with "Battlestar Galactica," "Heroes," and "South Park." It's going to be an interesting awards season, even down to next June's Saturn Awards. Finally, "The Vietnam War," the Ken Burns documentary series from PBS, earned an AFI Special Award. I might mention that in a post about political, historical, and legal nominees. Happy Hanukkah! This year, I return the celebration to Detroit from last year's Hanukkah in the White House partly on general principles and partly because Trump invited no Jewish Democrats from Congress to the celebration. How rude! WXYZ didn't have any video from this year's celebration, but they had these clips from last year, beginning with Menorah in the D.
One of my former students wore that dreidl suit one year. Who knows, he could be in it now. That was the preview, now for the event itself. The city of Detroit is celebrating Hanukkah with the Menorah in the D celebration. Looks like lots of fun. Seeing Anu Prakash interview the Rabbi reminds me of this story from the Detroit Free Press: Jewish, Hindu communities unite for first joint Hanukkah-Diwali celebration in Michigan. Inside a Hindu temple in Troy, the priests recited in Sanskrit an opening prayer calling for peace: "Om shanti, shanti, shanti." Moments later, a rabbi recited in Hebrew prayers for Hanukkah as another Jewish leader lit a menorah candle. The scene inside the Bharatiya Temple in Troy Thursday night was part of what organizers say was the first-ever joint celebration of Hanukkhah and Diwali, the Jewish and Hindu holidays celebrated late in the year. About 250 gathered inside a prayer hall in the Hindu temple to sing, pray and nosh on Jewish and Indian food -- potato latkes and jelly donuts representing Hanukkah delights and samosas and sweets for the Indian side -- followed by a panel discussion about the meaning of the holidays for the two minority communities. "There's a need for dialogue across various barriers," Nasy Sankagiri, a temple member of Bloomfield Hills, said to the predominantly Jewish crowd. "We thought this is a great idea to come together, celebrating the lighting of the lamps." I second this emotion. We could use more of it. I haven't had anything to say about the Alabama special election for U.S. Senator here. Since it's being held today, I'd better hurry before the entire topic turns into a pumpkin. Besides, last week I wrote about Conyers resigns, setting up scramble for his seat, so it's time to give a Republican equal time for his problems. Talking Points Memo posted both the video of a web attack ad and its text. This makes Moore sound like he should be in the slammer instead of the Senate. His opponent, Doug Jones, actually put people in the slammer as a U.S. Attorney. Hmm. I have the drink with the perfect name for this contest, the Alabama Slammer. Take it away Skyy and Brittany! 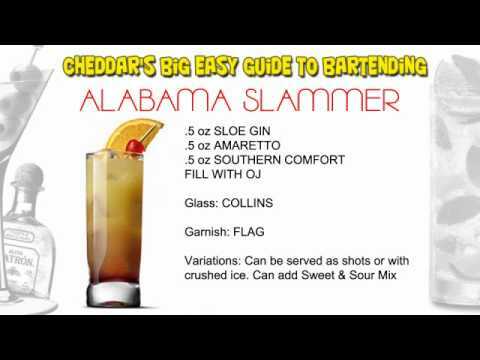 It's fun, delicious and easy to make...THE ALABAMA SLAMMER! This supposedly a favorite drink of NFL Quarterback Brett Favre. The Alabama Slammer, a place Moore is lucky to have avoided. May the voters of Alabama agree with me today that Moore should not be in the U.S. Senate. I close with a song dedication to Moore: Little Girls by Oingo Boingo. Welcome to Moore's new theme song. I told my readers to "Stay tuned for the television nominees after a post about the Nobel Prize winners" at the end of 'The Shape of Water' leads speculative fiction at the 2018 Critics' Choice Movie Awards. I begin my delivery of that promise with the acting and series nominees for comedies and dramas from KTLA on YouTube. This segment aired on the KTLA 5 Morning News, Wednesday, December 06, 2017. Unlike the movie nominations, no one series dominated the nominations for television series, as six drama series earned three nominations each. Four of them are speculative fiction series, "American Gods," "Game of Thrones," "The Handmaid's Tale," and "Stranger Things 2," all of which are nominated for Best Drama Series. The other two are "This is Us," also nominated for Best Drama Series, and "The Good Fight," which has three acting nominations. Two other speculative fiction shows, "Outlander" and "Orphan Black," both have their female leads nominated for Best Actress in a Drama Series. Two shows that are speculative-fiction-adjacent thrillers, "Bates Motel" (horror) and "Mr. Robot" (science fiction), also have one nomination each, "Bates Motel" for Actor in a Drama Series and "Mr. Robot" for Supporting Actor in a Drama Series. That's 16 out of 30 possible nominations in the drama categories for speculative fiction, a very good showing for genre television. Speculative fiction didn't fare as well in comedy, as there is only one nominated comedy series that qualifies as speculative fiction, "The Good Place," a fantasy. It has two nominations for acting, Ted Danson for Best Actor in a Comedy and Kristen Bell for Best Actress in a Comedy. Otherwise, the shows that are adjacent are comedies about scientists and engineers, "The Big Bang Theory" and "Silicon Valley," which have two nominations each. None of them are the most nominated comedy series. That honor goes to Netflix's wrestling show "GLOW" with four, including Best Comedy Series, where its competition includes "The Big Bang Theory" but not "The Good Place" or "Silicon Valley." Deadline has the rest of the nominations for miniseries, movies, and animated shows. There, one show did stand out, "Feud: Bette and Joan" with six nominations, the most of any show at these awards. Fortunately, the sole nominated speculative fiction miniseries, "American Horror Story: Cult," is not competing against it in any category, having been nominated for Best Actor in a Movie Made for TV or Limited Series. Neither is one of the two nominations about science and scientists, "The Immortal Life of Henrietta Lacks," which is nominated for Best Movie Made for TV. On the other hand, "Genius," is competing against "Feud: Bette and Joan," having been nominated for Best Supporting Actor in a Movie Made for TV or Limited Series. The final category consists of almost nothing but speculative fiction. Best Animated Series has "Archer," "Bob’s Burgers," "BoJack Horseman," "Danger & Eggs," "Rick and Morty," and "The Simpsons" as nominees. The middle three, "BoJack Horseman," "Danger & Eggs," "Rick and Morty," probably have the strongest fantastic and science fictional elements, while "The Simpsons" has aliens as guest stars and an annual horror show on Halloween. Follow over the jump for all the categories that include speculative fiction nominees along with my thoughts about their chances. For the Sunday entertainment entry, I'm going to do what I did last year for Bob Dylan, feature the winner of the Nobel Prize for Literature. Normally, I'd have done this in October, when the winners are announced, but I was too busy writing about the News and Documentary Emmy Awards. However, I have a second chance today, as it's Nobel Prize Day. Euronews has the story in Kazuo Ishiguro wins 2017 Nobel Prize in Literature. British novelist Kazuo Ishiguro has been announced as the winner of the 2017 Nobel Prize in Literature. It was announced by Professor Sara Danius, permanent secretary of the Swedish Academy. Japanese-born Ishiguro won the prize for uncovering "the abyss beneath our illusory sense of connection with the world," the Swedish Academy said on awarding the nine million crown ($1.1 million/936,000 euros) prize. While his most famous novel is probably the Booker Prize winner "The Remains of the Day," which was made into an Oscar-nominated and BAFTA-winning movie, Ishiguro deserves being mentioned here because of his dystopian science fiction novel "Never Let Me Go" and fantasy novel "The Buried Giant." The former was made into a movie written by Alex Garland and starring Carey Mulligan, Andrew Garfield, and Kiera Knightley that was nominated for five Saturn Awards, Best Science Fiction Film, Best Actress for Mulligan, Best Supporting Actor for Garfield, Best Supporting Actor for Knightley, and Best Writing for Garland; Garfield won. * Yes, a speculative fiction writer won the Nobel Prize for Literature. That's not unheard of. The question Was any science-fiction or fantasy author ever awarded the Nobel prize for literature? attracted a list of laureates who have written speculative fiction in the answers, including Doris Lessing, William Golding, Rudyard Kipling, Hermann Hesse, and William Butler Yeats. Still, all are the kind of authors I examined in Part II of When did speculative fiction go 'mainstream'? When SF novels became best-sellers -- authors who made their reputations writing mainstream works and only later wrote speculative fiction, particularly science fiction. Ishiguro fits that mold. I won't hold that against him; I'm just happy a speculative fiction author won. Follow over the jump as the Nobel Prizes shift from fantasy to reality. Nominations for the 2018 Broadcast Film Critics Association’s Critics’ Choice Awards have been announced. 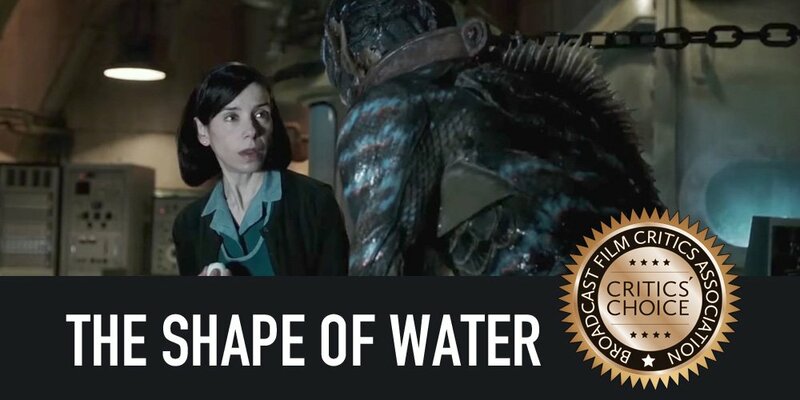 Guillermo del Toro’s sci-fi romance The Shape of Water stole the show with a dominating 14 nominations [including] Best Picture, Best Director, Best Actress, and Best Cinematography. Deadline lists all of them, which I've re-ordered to suit my priorities: Best Picture, Best Sci-Fi or Horror Movie, Best Actress for Sally Hawkins, Best Supporting Actor for Richard Jenkins, Best Supporting Actress for Octavia Spencer, Best Director for Guillermo del Toro, Best Original Screenplay for Guillermo del Toro and Vanessa Taylor, Best Cinematography for Dan Laustsen, Best Production Design for Paul Denham Austerberry, Shane Vieau, and Jeff Melvin, Best Editing for Sidney Wolinsky, Best Costume Design for Luis Sequeira, Best Hair and Makeup, Best Visual Effects, and Best Score for Alexandre Desplat. Wow! Not only do these 14 nominations lead speculative fiction films, they lead all films nominated. Four films, "Dunkirk," "Call Me By Your Name," "Lady Bird," and "The Post," are six nominations behind at eight each. I had thought either "Beauty and the Beast" or "Pirates of the Caribbean" to be the best fantasy film of 2017. No longer. I now think "The Shape of Water" will be the favorite in that category at the Saturn Awards and in Best Sci-Fi or Horror Movie here in the Critics' Choice Awards. The next most nominated speculative fiction film is "Blade Runner 2049" with seven nominations, including Best Sci-Fi or Horror Movie, Best Cinematography for Roger Deakins, Best Production Design for Dennis Gassner and Alessandra Querzola, Best Editing for Joe Walker, Best Costume Design for Renée April, Best Visual Effects, and Best Score for Benjamin Wallfisch and Hans Zimmer. In every single category, it is up against "The Shape of Water." I don't like its chances, either here, where "The Shape of Water" would be favored, or at the Saturn Awards, where I expect "The Last Jedi" will clobber it for Best Science Fiction Film and a bunch of other awards. Deadline didn't even notice "Blade Runner 2049." Instead, its article mentioned "Get Out," which has five nominations. It is going head-to-head with "The Shape of Water" in four categories, Best Picture, Best Sci-Fi or Horror Movie, Best Director for Jordan Peele, and Best Original Screenplay, also for Jordan Peele. 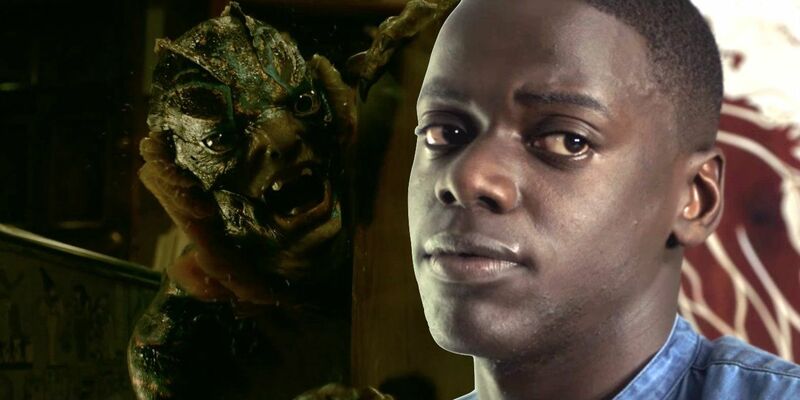 Only Daniel Kaluuya as Best Actor escapes competing with a nominee from "The Shape of Water." While I think "Get Out" is the best non-supernatural horror film of the year, which means it will be nominated for Best Thriller Film at the Saturn Awards and most likely win that category, I doubt it will win anything other than Best Original Screenplay at the Critics' Choice Awards. Even here, it's an underdog to more conventional films. In fourth place among speculative fiction films with, appropriately enough, four nominations is "Beauty and the Beast," my pick for best fantasy film of the year until "The Shape of Water" came along. The live-action remake of a Disney animated classic earned nods for Best Production Design for Sarah Greenwood and Katie Spencer, Best Costume Design for Jacqueline Durran, Best Hair and Makeup, and Best Song for "Evermore." In the first three categories, it is up against either or both of "The Shape of Water" and "Blade Runner 2049" and in the last it is competing with a song from Disney/Pixar film "Coco" and a Grammy Award nominee from "Marshall." I'm ambivalent about its chances in any of those categories. Three superhero films tie for fifth with three nominations, "Logan," "Thor: Ragnarok," and "Wonder Woman," all of which are nominated for Best Action Movie. The critics think "Logan" has better acting with Patrick Stewart nominated for Best Supporting Actor and Dafne Keen for Best Young Actor/Actress. I expect both will be nominated in the equivalent categories at the Saturn Awards. In contast, "Wonder Woman" has better technical achievement, being nominated for Best Costume Design and Best Visual Effects. "Thor: Ragnarok" has both good acting and technical achievement with Chris Hemsworth earning a surprising nomination for Best Actor in a Comedy (I guess he's that funny) and the film competing with "Blade Runner 2049," "The Shape of Water," "Wonder Woman," "War for the Planet of the Apes," and "Dunkirk" for Best Visual Effects. I'm not confident about any prediction for that field! On the other hand, if I'm confident about any prediction of mine, it's that "Wonder Woman" is the favorite to win Best Action Movie. It's also among my two favorites to win Best Comic-Book-to-Film Adaptation or its equivalent at the Saturn Awards. "War for the Planet of the Apes" earned two nominations, Best Action Film and Best Visual Effects. I think the first is misplaced (it should be the fifth nominee for Best Sci-Fi or Horror Film), while the second shows the strength of screen capture and CGI to portray its ape characters. The other speculative fiction film to garner two nominations is the Disney/Pixar film "Coco" for Best Animated Film and Best Song for "Remember Me." I think it might win Best Animated Film. I'm not as confident that it will win Best Song against "Stand Up for Something" from "Marshall" by Common and Diane Warren. Seven speculative fiction films have one nomination each. "It," my pick for best surpernatural horror film of the year, is nominated for Best Sci-Fi or Horror Film. I doubt it will win at these awards, but I think it's a lock for Best Horror Film at the Saturn Awards. Hong Chau earned the one nomination for "Downsizing" as Best Supporting Actress. The other four nominees for Best Animated Feature, "The Breadwinner," "Despicable Me 3," "The LEGO Batman Movie," and "Loving Vincent," have their only nomination in this category. Finally, "Thelma," which is nominated for Best Foreign Language Film, has enough fantastic elements for me to consider it speculative fiction. At the end of 'Chasing Coral': awards and nominations and looking forward to next year's Emmys 4, I told my readers I found another set of entertainment awards right up my alley. I discovered the Environmental Media Awards, USA during my research. This is an event I should have known about already as well. I plan on writing about them, too. Stay tuned. The Environmental Media Association Awards page states the purpose for these awards: "The EMA Awards honor film and television productions and individuals that increase public awareness of environmental issues and inspire personal action on these issues." That's exactly the kind of purpose I thought these awards would have and why I'm glad I finally stumbled across them. These are the films and television shows I should be featuring here. The Environmental Media Association Awards YouTube channel does not have separate clips of the movie and television winners being announced, but it does have a sizzle reel showing all the celebrity honorees and their presenters. Relive the excitement of the 2017 EMA Awards, Hosted by Jaden Smith, with our sizzle reel. Toyota and Lexus presented the Awards. Jaden Smith, a member of the EMA board, will host the awards. The show will also honor Russell Simmons with EMA’s Mission in Music Award, Natalie Portman with the EMA Ongoing Commitment Award, John Paul DeJoria with the Innovator Award, and former New York City mayor Michael Bloomberg will be given the org’s Lifetime Achievement Award. Now I know which celebrities have a green reputation. It was cool to see the green stars, but I'm interested in the green shows. Here are this year's nominees and winners from Variety and the Environmental Media Association. On the one hand, it's a pretty weak year for environmental themes in feature films that only two were nominated between August 2016 and July 2017. On the other hand, I don't disagree with either the nominees or the winner one bit. It doesn't hurt that both are speculative fiction. "Moana" is an animated musical fantasy with two Grammy nominations and was nominated for Best Animated Film at the Saturn Awards. "Okja" is a action/adventure film with fantastic elements about the excesses of industrial agriculture. I fully expect to see "Okja" nominated for some category at the Saturn Awards, whether in film, presentation on television, or streaming television. If it's not nominated, I will consider it an oversight, as it could fall between the cracks of the categories. I also expect nominations for "Okja" in special effects and movie for television at next year's Emmys. My readers and I will have to wait until the middle of next year to see how all these predictions fare. Maybe by that time, I'll have an entry devoted to it. Next, the category that led me to these awards. Winner: "An Inconvenient Sequel: Truth to Power." Wow, that's a worthy list of nominees, all of which I can recommend to my students and all on related topics of climate change and the energy sources that cause it. "An Inconvenient Sequel: Truth to Power" is also a worthy winner. Now I'm looking forward to how it fares at the Academy Awards. Next month. Follow over the jump for the television nominees and winners. Conyers isn't the only member of Michigan's Congressional delegation to announce his retirement. Stay tuned for news about another U.S. Representative leaving under more ordinary circumstances. That's how I finished Conyers resigns, setting up scramble for his seat. It's time to me to pass along this video from Wochit News: U.S. Representative Levin To Step Down. On Saturday, U.S. Representative Sander Levin of Michigan said he would not run for reelection next year. He is stepping down after more than three decades in Congress. The 86-year-old Democrat is a member of the House of Representatives’ powerful Ways and Means committee. The committee deals with tax and economic policies as well as spending on programs such as Social Security and unemployment. In a statement acknowledging his decision to step down, House Democratic leader Nancy Pelosi praised Levin. Pelosi said, “Since his days as a student activist, Congressman Levin has been a fearless and dedicated voice for justice and progress." Levin does not plan to be idle in retirement. The Detroit Free Press reported that he plans to "join the University of Michigan’s Gerald R. Ford School of Public Policy, where he will continue to work on issues that have engrossed him in Congress, such as health care and trade issues." The Free Press also noted the effect Levin's retirement will have on Michigan's Congressional delegation. His departure from Congress at the end of 2018 is just the latest departure of veteran Michigan representatives, many of whom held powerful positions as the chairs of key committees, including U.S. Reps. John Dingell, D-Dearborn, Dave Camp, R-Midland, Candice Miller, R-Harrison Township, Dale Kildee, D-Flint and Mike Rogers, R-Brighton. When they left Congress over the last six years, they had a combined length of service of 141 years and significant clout in the halls of the nation's Capitol. In the last three election cycles, eight of Michigan’s 14 members of Congress have retired. If U.S. Rep. John Conyers, D-Detroit, resigns from office or decides not to run for reelection in 2018 because of a sexual harassment scandal, only U.S. Rep. Fred Upton, R-St. Joseph, would remain from Michigan's stable of veterans with more than 10 years of experience in Congress. It looks like Upton will remain in the U.S. House of Representatives, as he has decided not to run for U.S. Senate, a possibility I mentioned in Whew! Kid Rock is not running for U.S. Senate. WOOD-TV reported on that announcement in Upton seeks re-election in House, no Senate run. After speculation of a possible run for U.S. Senate, Rep. Fred Upton announced he will not be seeking the nomination. First Kid Rock, now Fred Upton. If I were Debbie Stabenow, I'd be breathing a lot easier. Enough of the Senate contest. The Free Press also speculated on who might replace Levin. But now, it's time to turn the reins over to the next generation. Names that have popped up as possible successors to Levin include his son Andy Levin, a Bloomfield Township Democrat and president of Levin Energy, which deals with clean energy initiatives, and state Sen. Steve Bieda, D-Warren. This is a contest I actually will have to vote in, as Levin is my Representative. I have a long time before I have to decide, as the primary election isn't until August, but I'm not enthused about either possible candidate mentioned above. Fortunately, Daily Kos lists two more. Oakland County Treasurer Andy Meisner also acknowledged he was considering, though he said he didn't have a timeline for when he'd decide. Businessman Kevin Howley, who lost a 2012 race for Oakland County executive 57-43, said he was looking at who else runs before deciding. I like those two more than the previous two, as I know both of them. Between the two, I'd vote for Meisner. He has the nickname of "The Gentleman Assassin" -- he can kill while smiling and being polite. I like that. Just the same, I'm hoping that Jim Townsend, who used to be my State Representative, declares his candidacy. He's someone I could support enthusiastically.